Vehicle accidents that involve large trucks can be particularly devastating. These trucks are much bigger than the average car on the road, and they can deal out a large amount of damage. When drivers are around large trucks, they must remember to remain aware and keep in mind that semi-trucks have large blind spots. 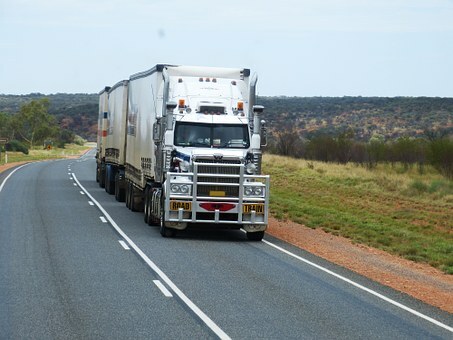 Truckers must also do their part to remain vigilant and prevent accidents. On June 1, Brockton Fire responded to a call they received about a vehicle accident involving a tractor-trailer. They received information about this accident around 6:45 in the morning and arrived at the scene quickly. Upon arrival at North Quincy Street, they found that a tractor-trailer was off the road and into the woods. Injuries were reported, but their extent is still under review. Firefighters and other emergency personnel secured the area, and Lynch’s Towing removed the vehicle from the woods. No further details were reported. Trucking accidents can have life-threatening consequences. Some of these incidents can cause catastrophic injuries or even fatalities. Since this is the case, it is vital for all drivers to remain vigilant when driving near large trucks, and just as important for truckers to remain cautious and aware. Drivers of all kinds of vehicles have a responsibility to keep roads safe. We at the Law Offices of Jeffrey S. Glassman see how serious trucking accidents can be as we help victims and their families recovering from the aftermath of similar incidents. As members of the community, we want our roads to be safe. We urge all drivers to do their part to prevent accidents. Sadly, we know that accidents can still happen, and we are dedicated to providing assistance to victims so they can focus on recovery.